Hope everyone is ready for the last summer holiday weekend!! We will be closed Monday, 09/03/18 and will re-open Tuesday the 4th; regular business hours are 7:30am-5:00pm through Friday and 8:00am to 3:00pm on Saturday. 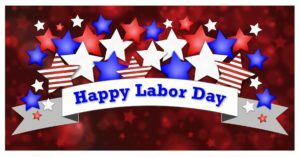 Be safe and have a great Labor Day Weekend!! 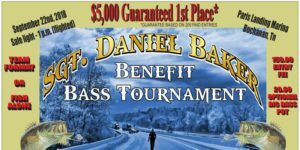 Pre-register now for the Sgt Daniel Baker Benefit Bass Tournament (proceeds to the wife and daughter of Sgt Baker)! Go to https://www.eventbrite.com/e/sgt-baker-benefit-bass-tournam… to register and for more info. Tennessee Battery is pleased to be a part of this benefit tournament, so if you’re a fisherman, sign up, take part, and help out a family! Thank you all!